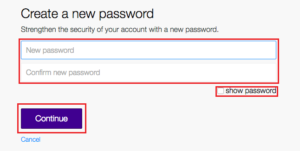 How to change password Yahoo mail ? In this page, we have explained the step-by-step process description with images also video. The perfect and easy way you can change your Yahoo mail password. Its simple and it won’t take much of your time. 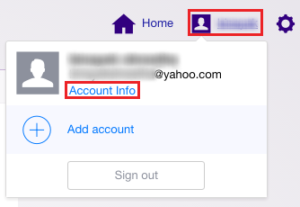 Just follow the procedures below and in the end you’ll have your Yahoo Mail Password changed. First of all, open a new-window in any of the web-browser and rearrange it to this window so that you can see both the window side by side. To open a new you can use keyboard shortcut keys click CTRL+N for Windows users and COMMAND+N for MAC users. On your new window address bar type yahoo.com. On the top right hand corner you’ll have to click on ‘Sign in’. 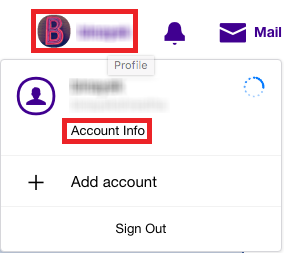 Now enter your Yahoo email address of which you want to change your Yahoo password and click on ‘Next’ – DO NOT FORGET to click of the or uncheck the ‘Stay signed in’ and after that enter the password (your current password) to finalize your sign in process. Click on ‘Sign in’. How to do Yahoo Mail Sign in? Once signed in you’ll redirect to the main Yahoo page. You’ll know that you are sign in as you can see your name on the top right hand corner, the same place where you click ‘Sign in’ before. On your left hand side column click and go to ‘Account security’. 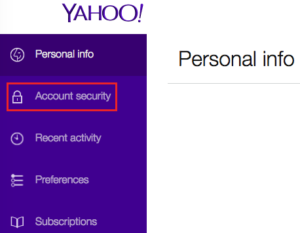 Now you’ll see under the Account security heading ‘Change password’ Click on it to change Yahoo password. Enter your new password where its written ‘New password’ and re-enter it again on ‘Confirm new password’ if you are confused or your new password doesn’t match you can see what you are typing by clicking on ‘Show password’. Lastly, done with new password matching. 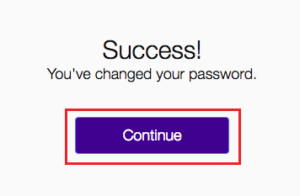 Click on ‘Continue’ to make your Yahoo mail password change. When you enter from your mailbox or via ‘mail.yahoo.com’ or ‘yahoomail.com‘ that takes you to your mailbox. We can change also change password from here as well. On your Yahoo mailbox page, on the top right hand corner you’ll need to hover your mouse arrow on top of your name. As a drop down menu shows, click on ‘Account info’ that is under name and your yahoo email address. New tab window will automatically load up on your web browser. Click on the ‘Account security’ on your left hand side column under the Personal info. On your right hand side you’ll the heading ‘Account security’ and under that ‘Change Password’ click on it. Enter your ‘New password’ you want and retype it to confirm it. In any case you are confuse what you are typing you can always click on ‘Show password’ to check. Lastly, once down click on ‘Continue’ to finally change your password. Cheers.